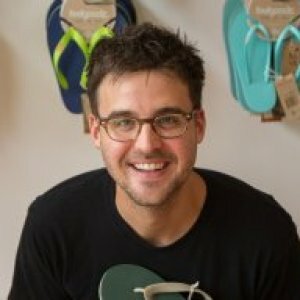 Kyle Berner is the founder of Feelgoodz, a travel-inspired lifestyle brand that produces casual footwear and accessories. A born and raised New Orleanian, Kyle Berner graduated from Loyola University New Orleans in 2003 with a Marketing Major. Upon graduation, Kyle devised “The Pail List,” an earlier version of “The Bucket List,” for his 20s. This post-graduation strategy landed him a unique array of positions in music production, computer sales, basketball coaching, and even hot dog cart vending. It led him to Thailand in 2006 to teach English, where the Feelgoodz story began. 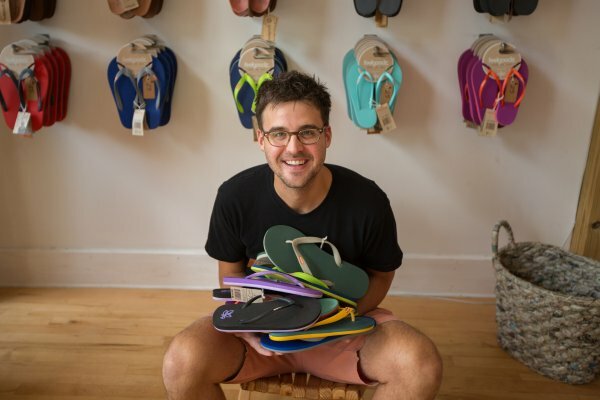 In 2008, at 27 years old, Kyle founded Feelgoodz, a travel-inspired lifestyle brand that produces footwear and accessories from Thailand, Vietnam, and Guatemala. This business has been his professional passion since inception. An avid traveler and engaging storyteller, he has spoken at TedX Tulane and TedX Raleigh, sharing his story and ideas with a like-minded community. He has also been featured in several top publications, including USA Today, GOOD Magazine, Footwear News, The Wall Street Journal, and Entrepreneur.com. In addition to being full-time with Feelgoodz, Kyle spends much of his time at Loyola University New Orleans, where he serves as the Center for Entrepreneurship’s EIR (Entrepreneur-in-Residence). 2) The alumna or alumnus must demonstrate a strong commitment to her/his community and Loyola through volunteer service. 3) Must be recognized for her/his accomplishments in her/his profession or other areas of endeavor.